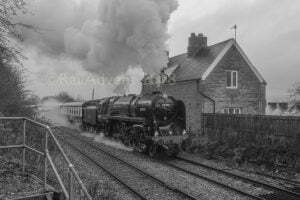 Over on the Grosmont M.P.D News – The Original Facebook group, photos have been shared showing the arrival of two guest steam locomotives for this weekends Gala. Steam locomotive ‘Douglas’ and 2857 both arrived at Newbridge yesterday ahead of the celebration weekend. Narrow gauge locomotive Douglas is visiting from the Talyllyn Railway. It will be on a flatbed wagon and will be used in freight train demonstrations. 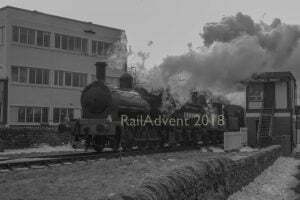 GWR locomotive 2857 will be in use over the weekend and is visiting the North Yorkshire Moors Railway from the Severn Valley Railway. 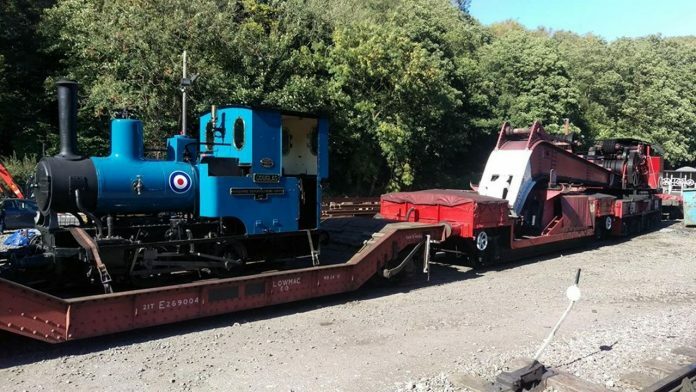 The steam crane was used to lift Douglas off of the low loader lorry and onto the flatbed railway wagon, all powered by steam! It was an excellent effort by the crane crew, who worked a 12-hour shift to make sure that these locomotives are ready for the gala. These two locomotives join 34081 ’92 Squadron’ and the home fleet for the weekend. 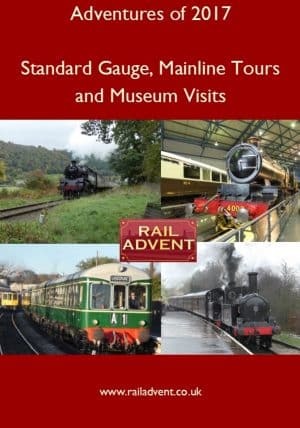 Our thanks must go to Nick Simpson of the Grosmont M.P.D – The Original Facebook Group for the use of the photo and information used in this article. To view behind the scenes of the NYMR, please click here to join the Grosmont M.P.D – The Original Facebook Group.